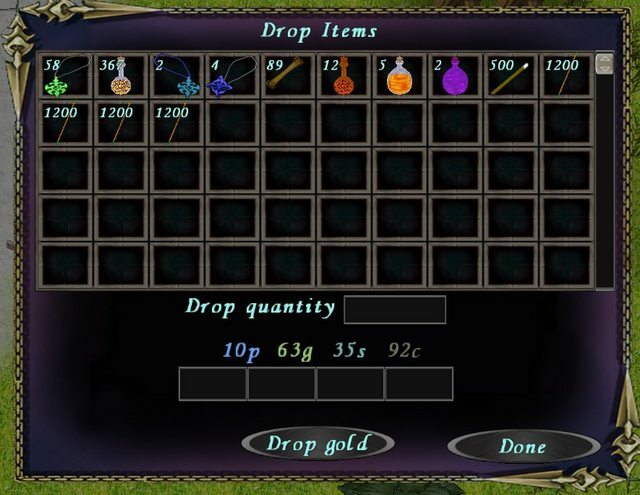 I got bored one day a while back and modified the drop screen/inventory menu. I've been using it for so long now I forgot it wasn't the standard menu. Anyway, I figured why not share it in case anyone else found it useful. It's nothing special to be honest. It just increases the number of slots you see at once. So no more scrolling through your inventory. Makes dragging/dropping items around pretty simple. Download these 2 files and overwrite the ones in your /Xenimus/GUI/ folder. If you're not comfortable downloading the files (which is understandable), you can manually apply the changes yourself. Open up the inven.scn file in a text editor, copy all the code below in the first spoiler and then overwrite the current code. Save the file as inven.scn. Oh also I recommend backing up the existing files in case you dislike the changes, that way you can easily swap back. I wanted to do the 'Use' menu as well but never got around to it. 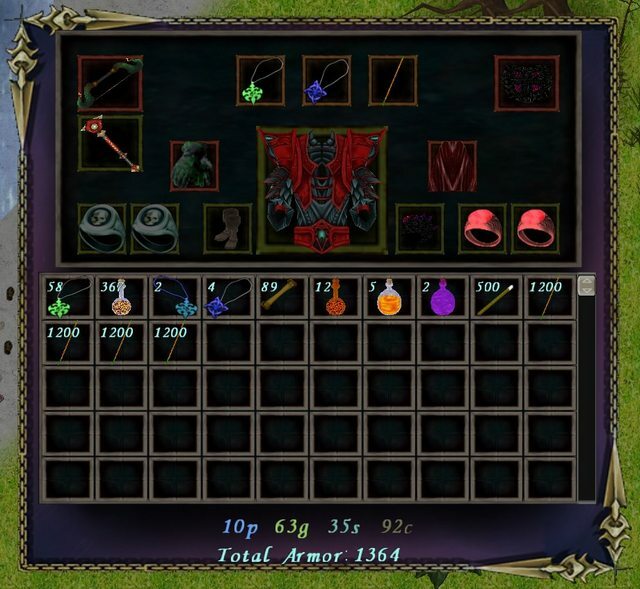 this is awesome - do you think you can do this for Merchant - Guild Bank and Storage? Last edited by Astrix on 18 Feb 2019 04:24, edited 1 time in total.